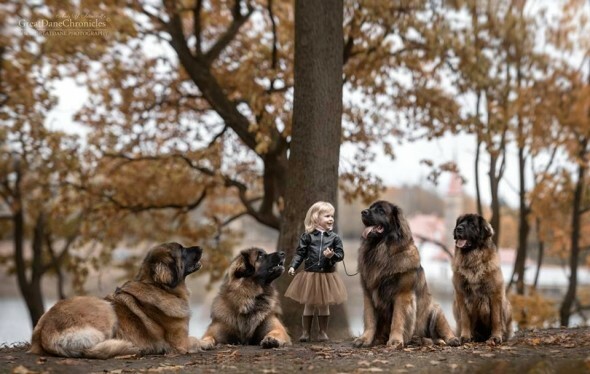 If you love all things big dog or cute kid, this is the post for you! 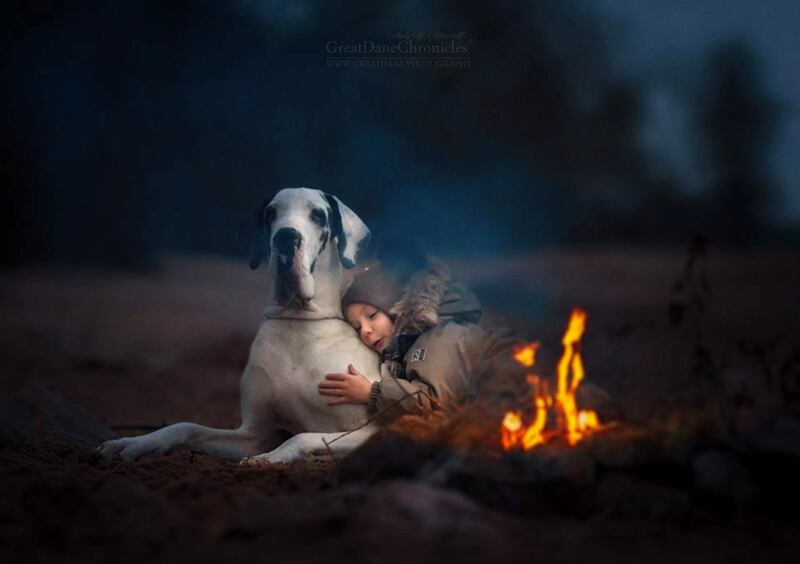 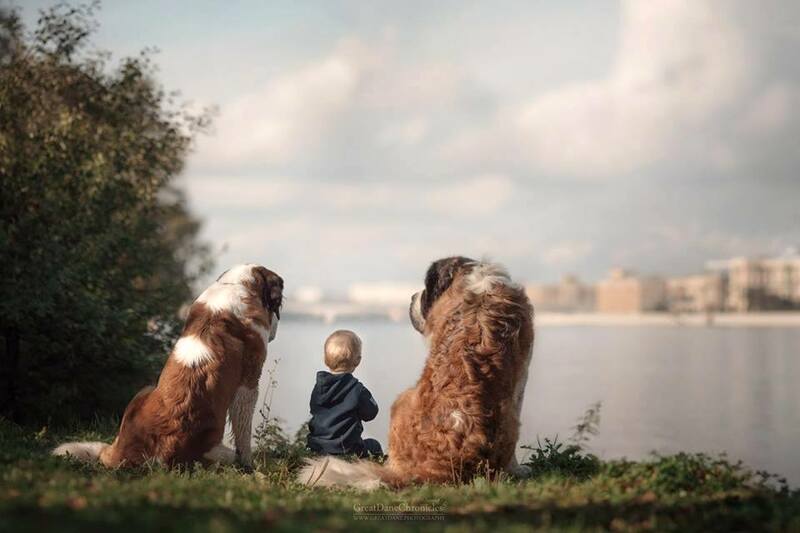 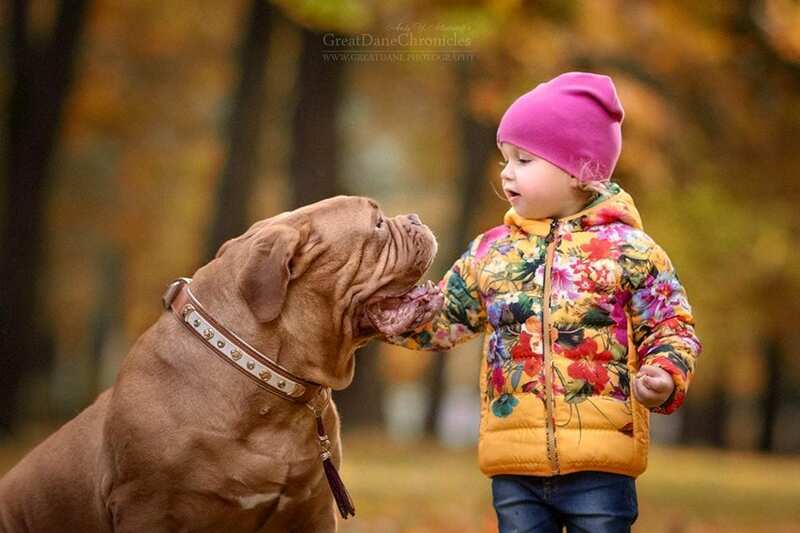 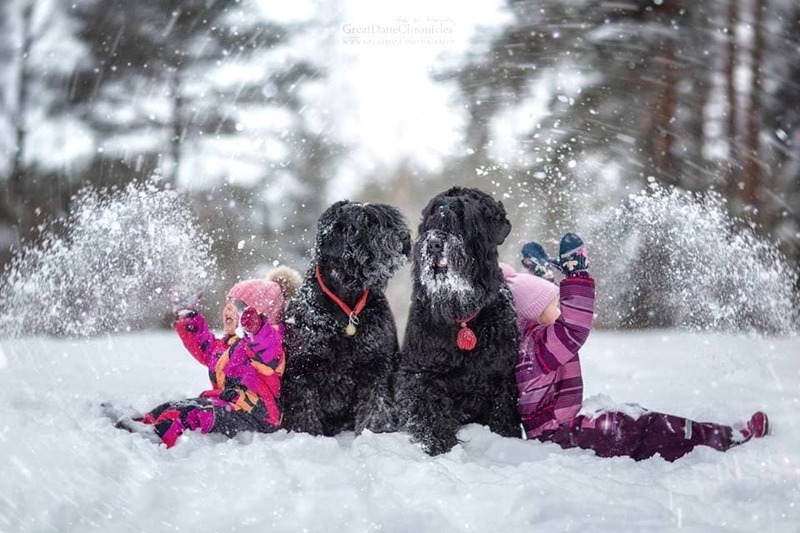 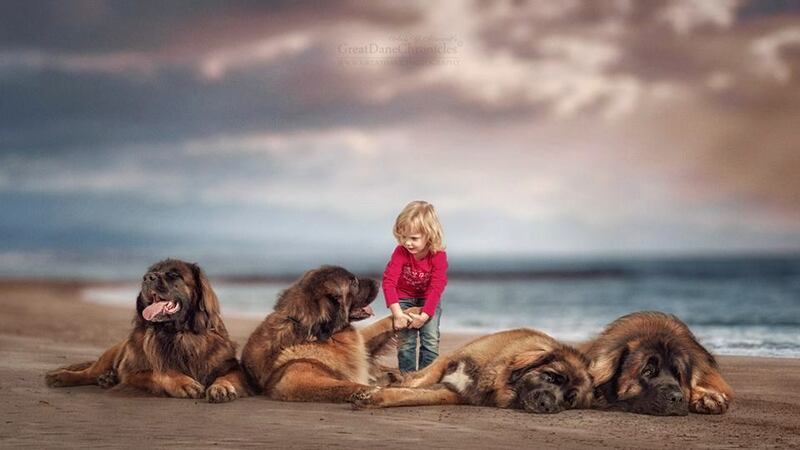 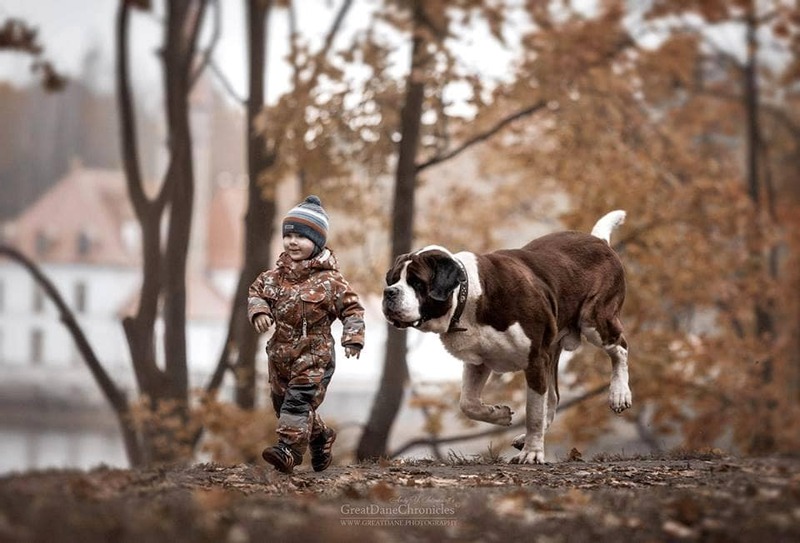 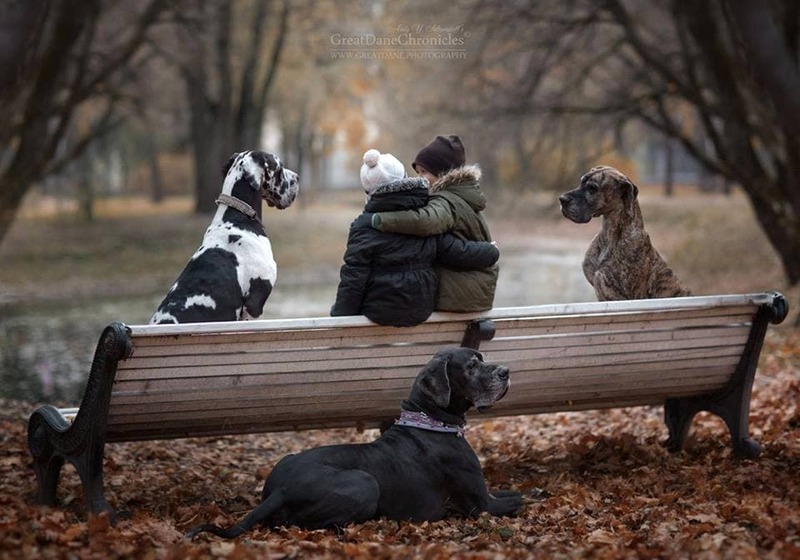 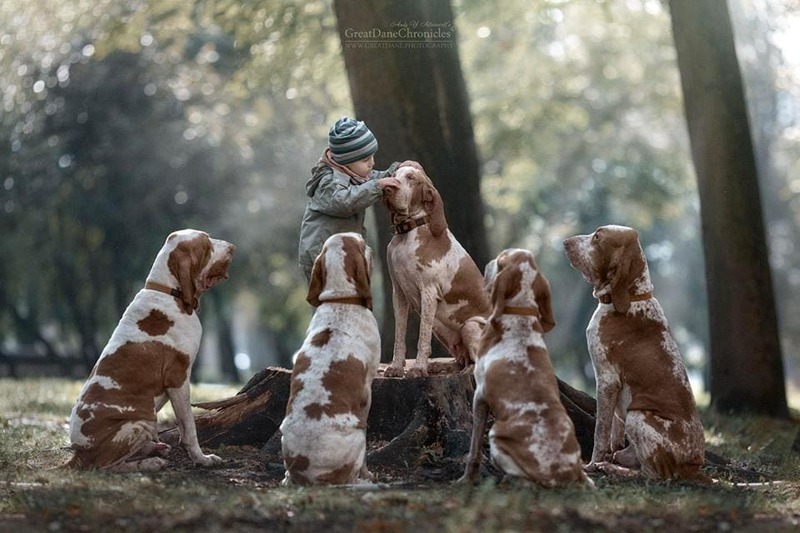 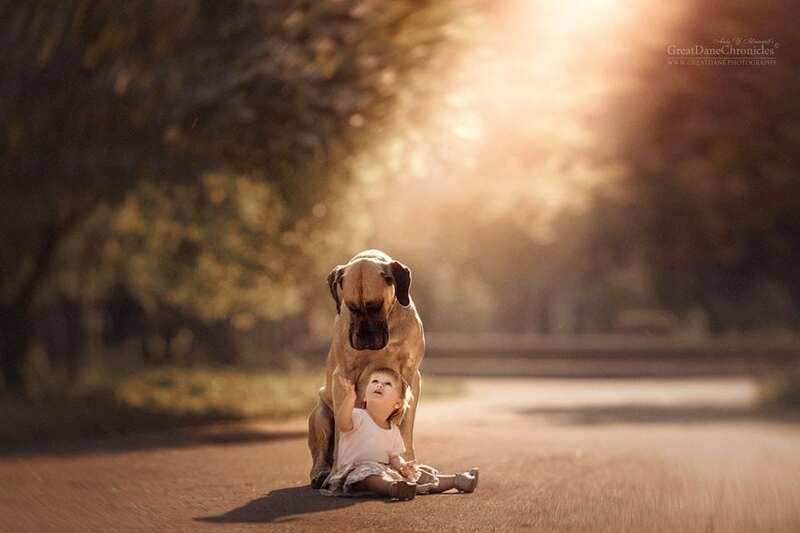 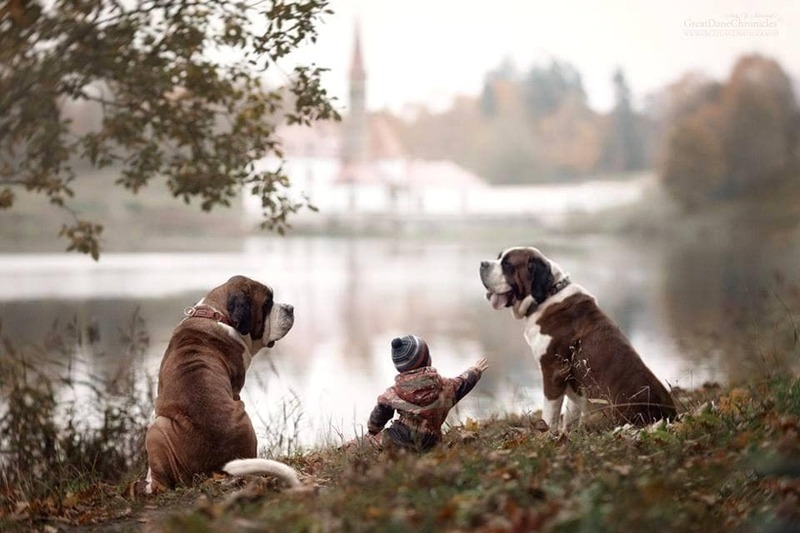 Photographer Andy Seliverstoff has captured dozens of whimsical moments between small children and their enormous dogs – Great Danes, Saint Bernards, Dogue de Bordeaux, and Newfoundlands – gentle giants, every one of them. 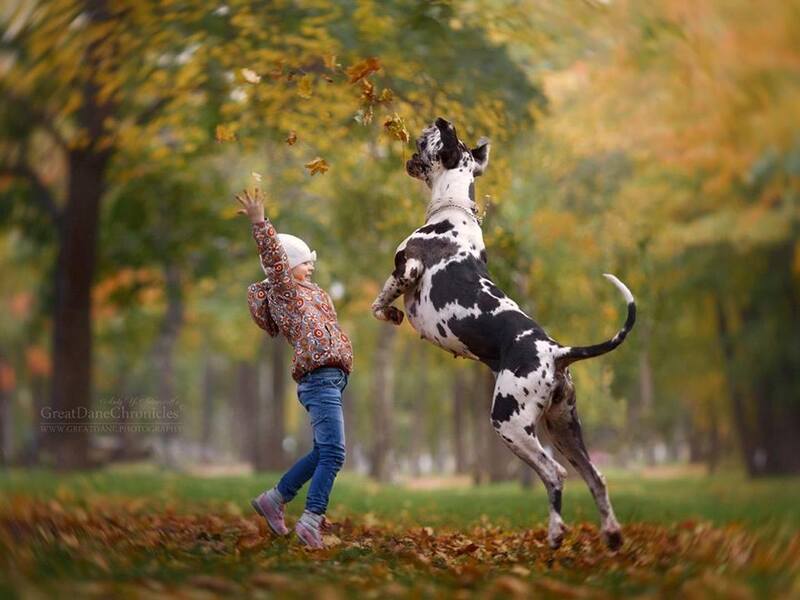 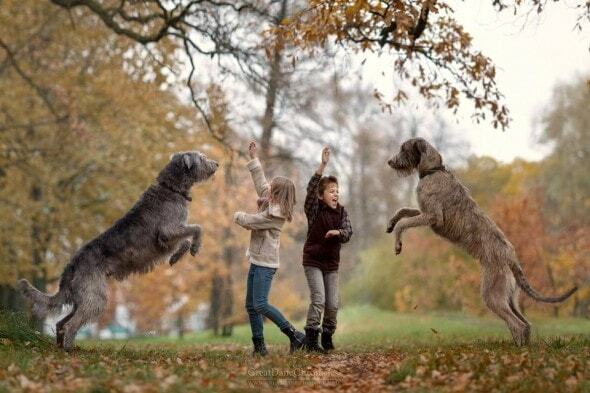 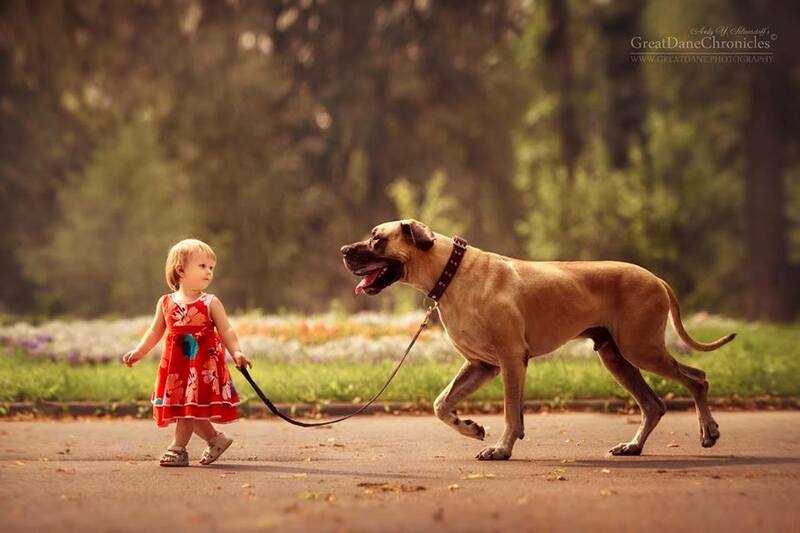 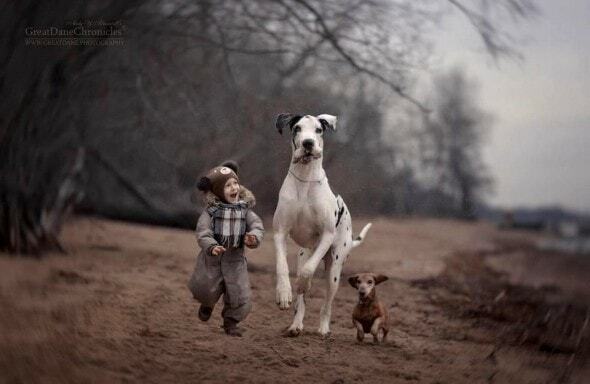 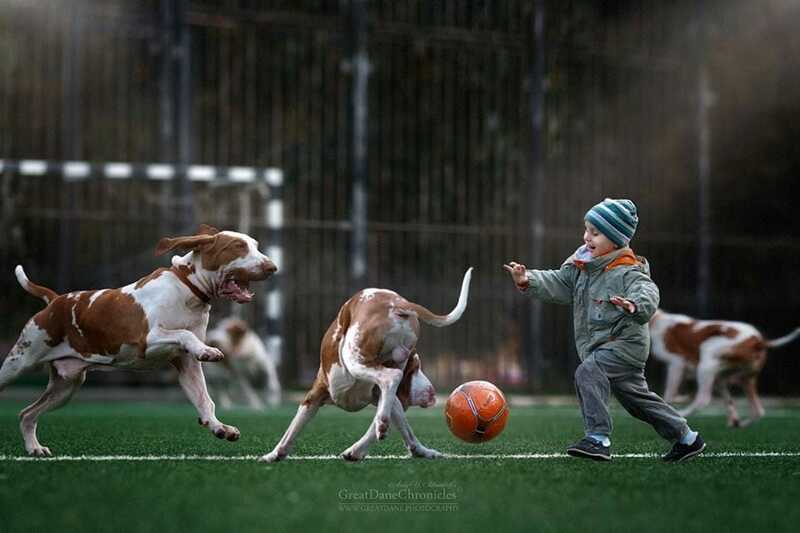 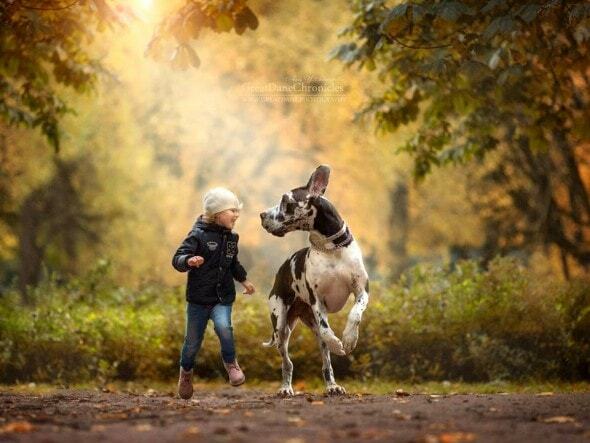 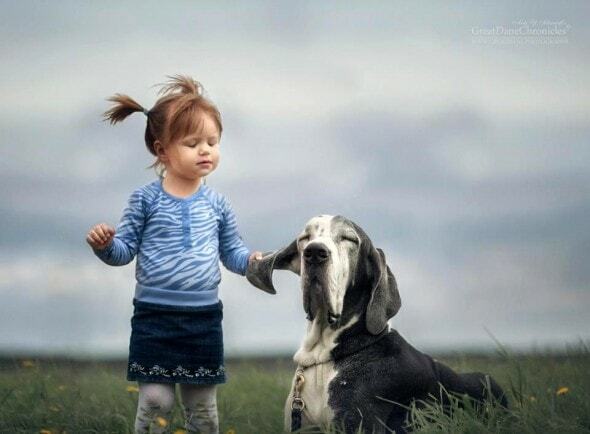 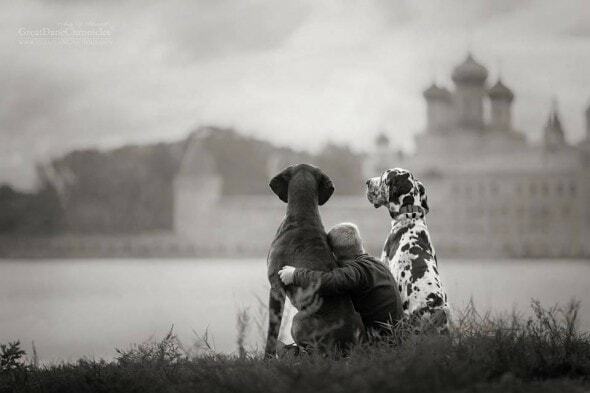 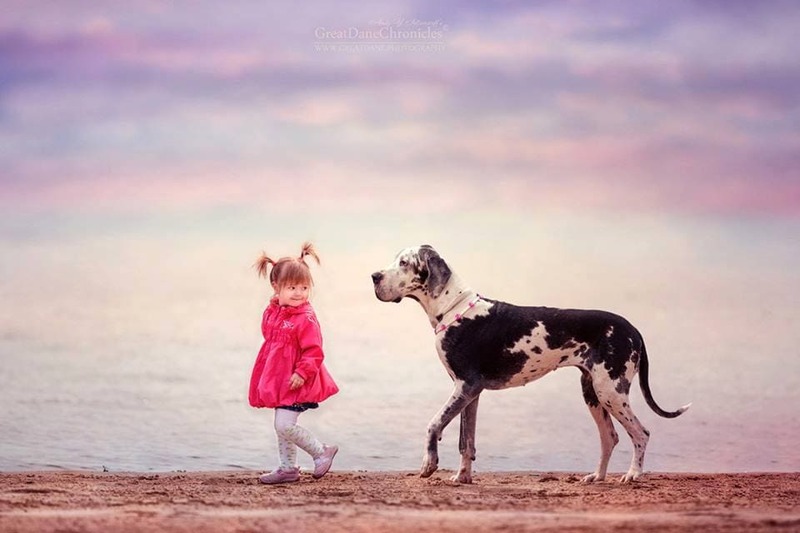 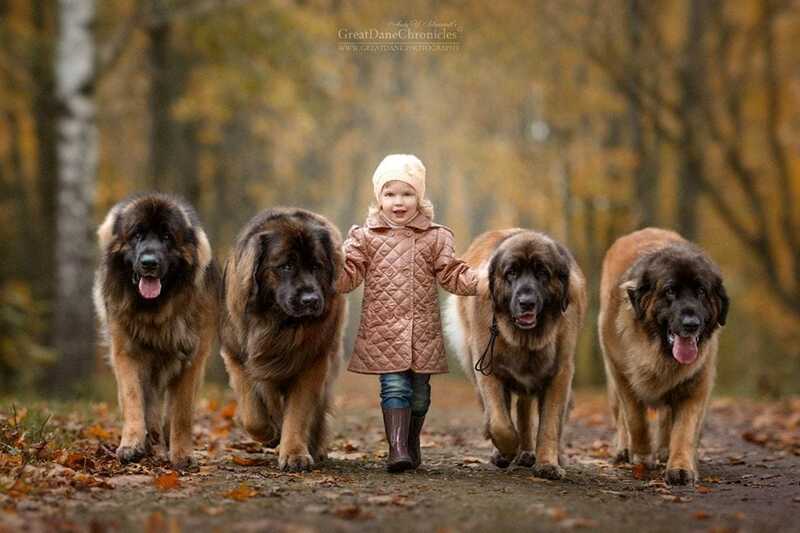 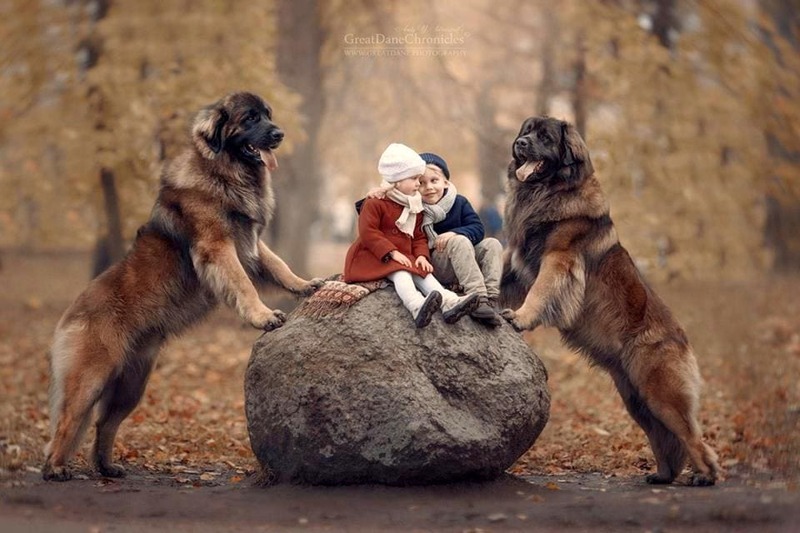 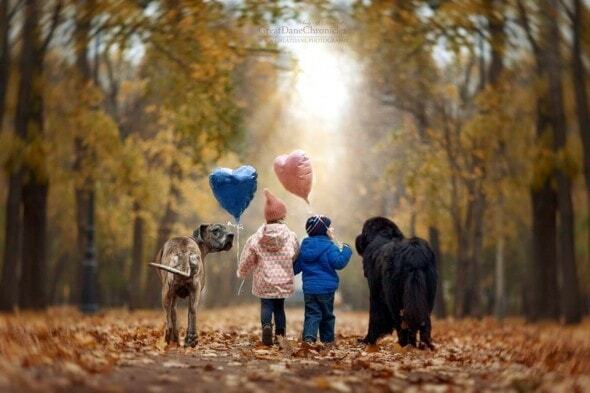 Seliverstoff is launching a book called Little Kids and Their Big Dogs, which will feature over 100 photos. 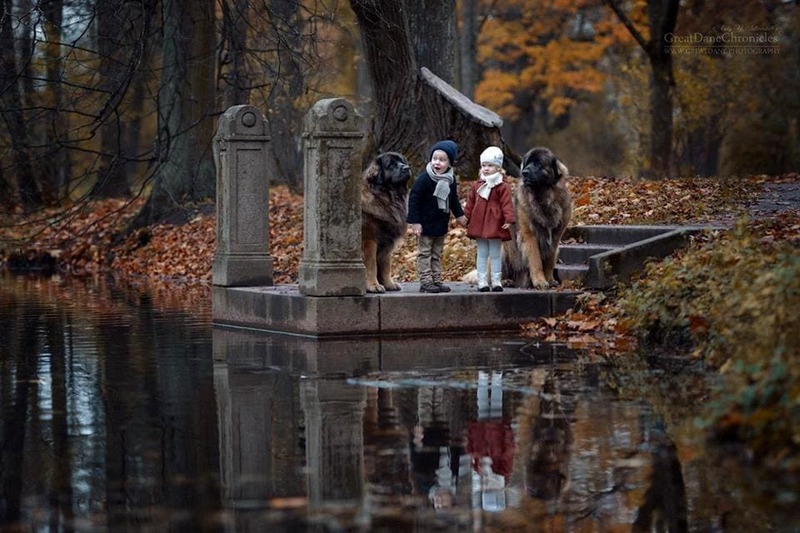 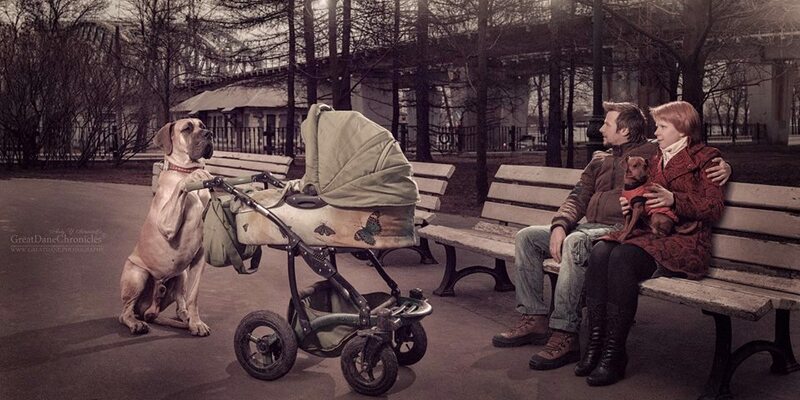 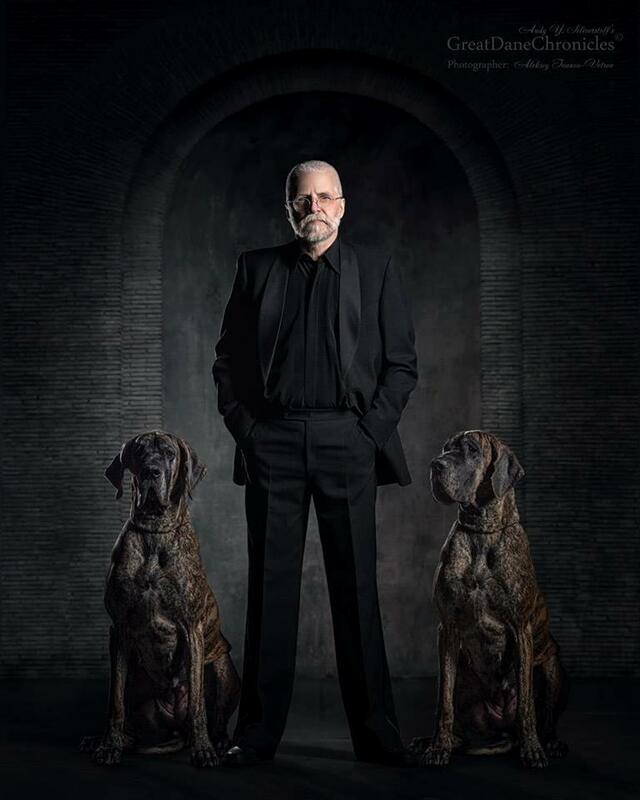 He spent several months in St. Petersburg photographing kids gently interacting with their colossal companions, who appear to genuinely adore their miniscule moppets. 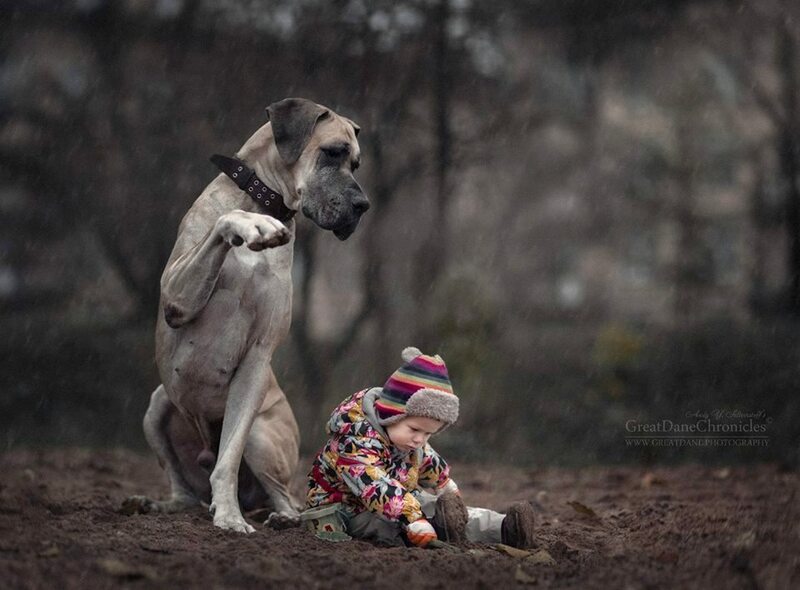 The idea came to Seliverstoff when friends asked him to take photos of their two-year-old daughter Alice (pictured with the rainbow hat) and their Great Dane. 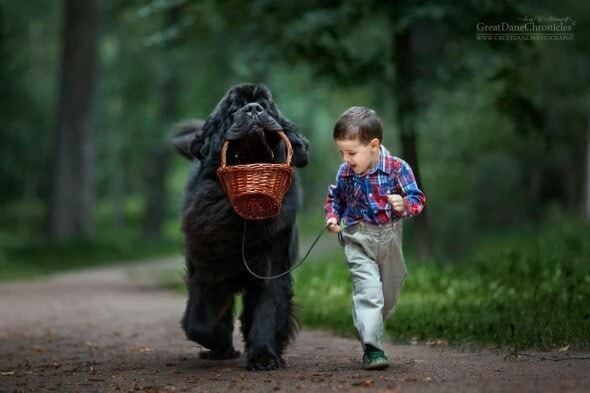 He also did a photo shoot with a three-year-old boy named Theo and his Newfie, Ringo (shown carrying the basket). When he posted the photos online, the response was overwhelmingly positive, so he decided to expand his project and turn it into a book. 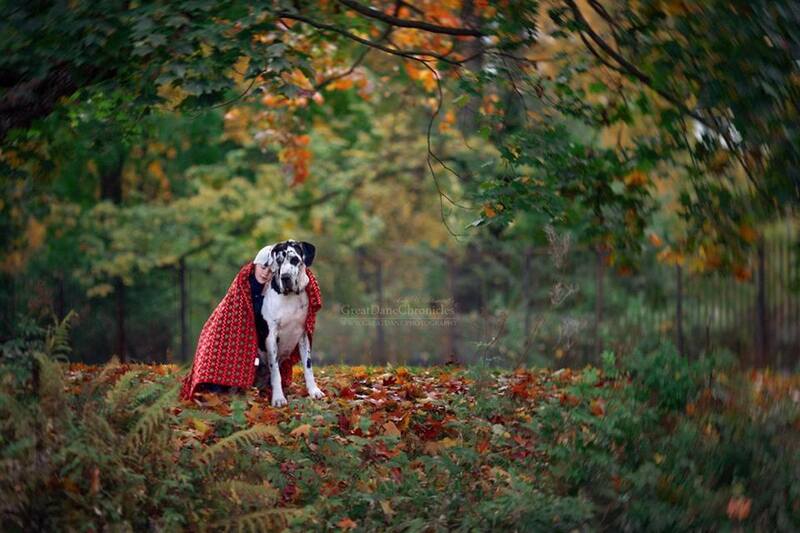 To see all these photos and many more, visit Andy’s Facebook page and follow him on Instagram. 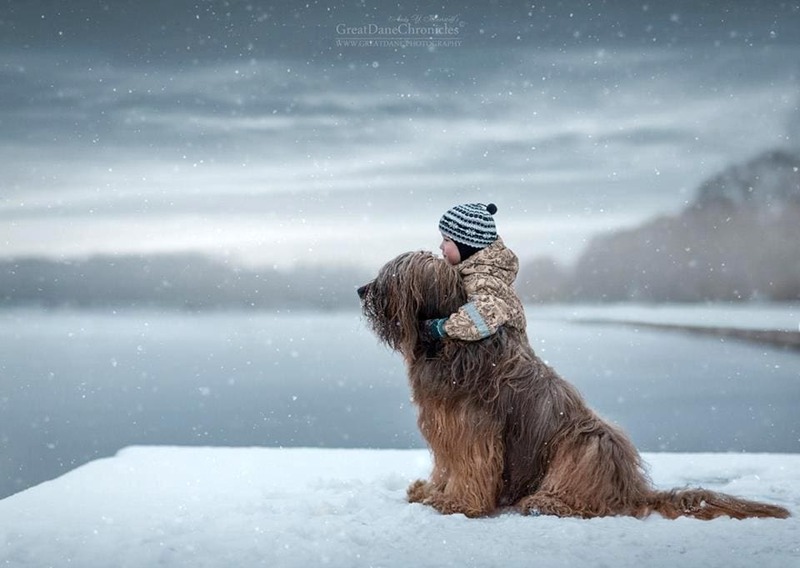 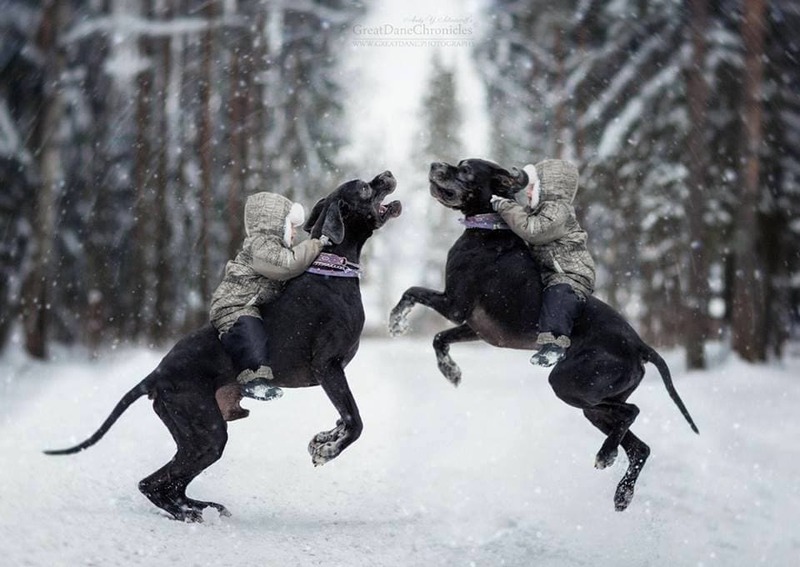 While these are some breathtaking photos, we do not encourage allowing children to sit on or ride dogs. 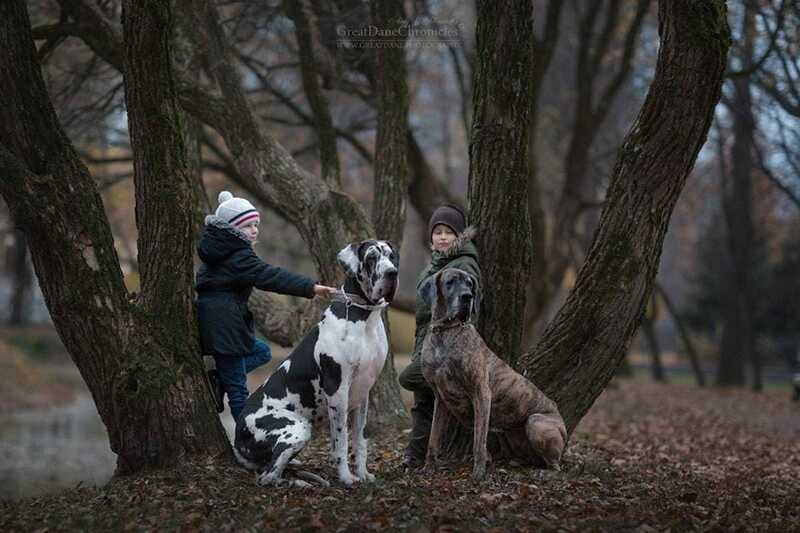 They are not furniture or horses, and this can be dangerous for both the kids and the dogs. 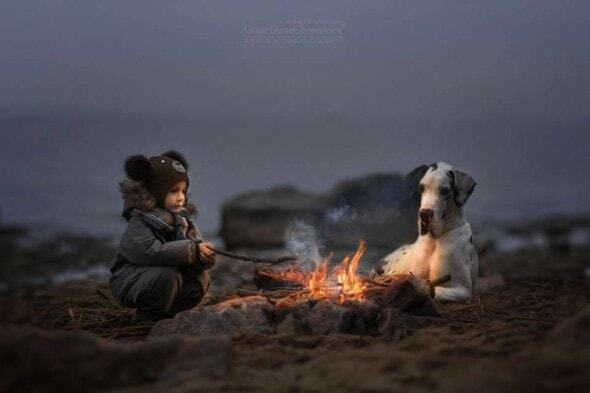 Where can I buy the book for Christmas please? 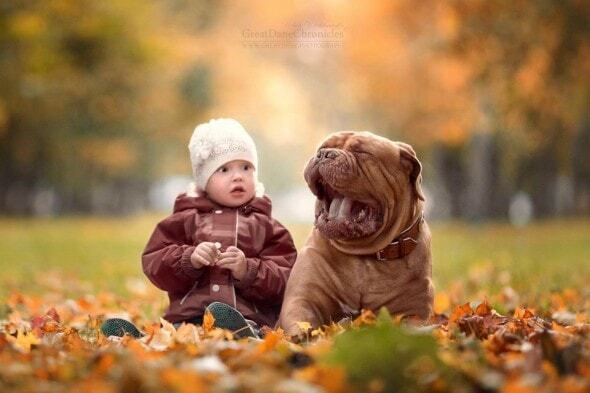 Is your book printed yet, if not when will it be completed? Could you please let me know. 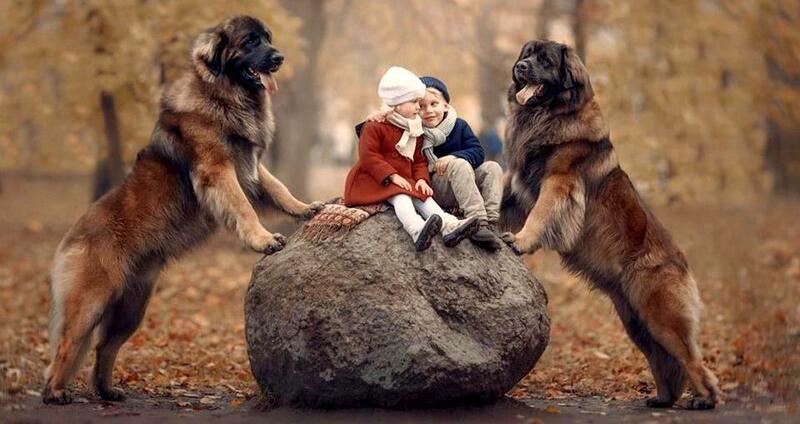 I love large dogs and have always tried to champion their wonderful demeanor with children. 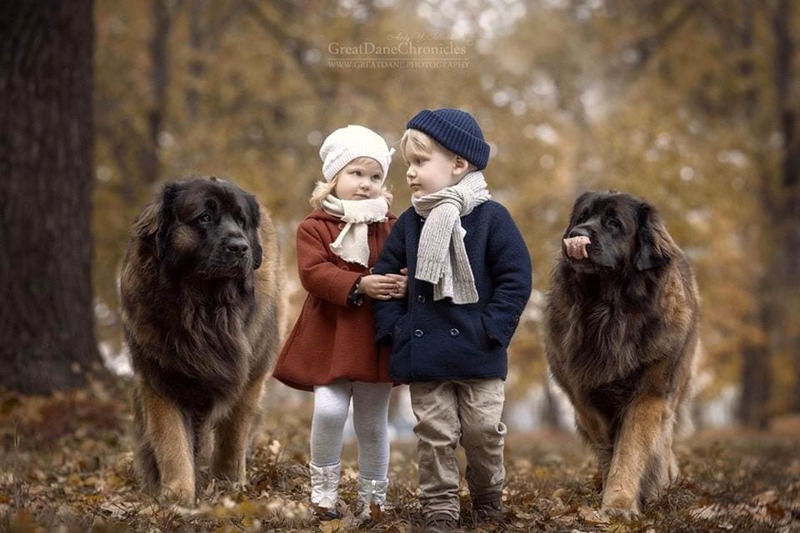 We inherited brother and sister fawn colored huskies who allowed children to use them as a step stool, pillow, playmate and friend. Your photos are magnificent and I also want to know if your book will be ready for Christmas and if not then when. 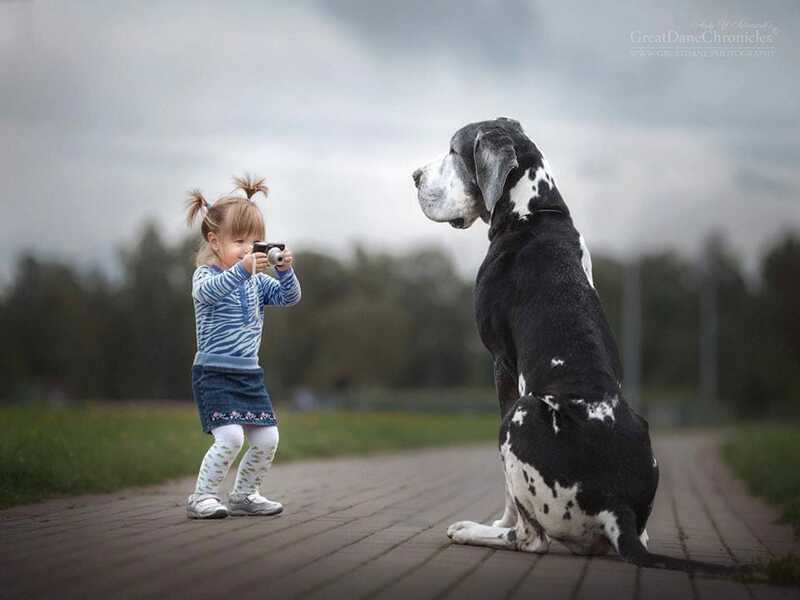 Will be waiting for more fabulous shots. 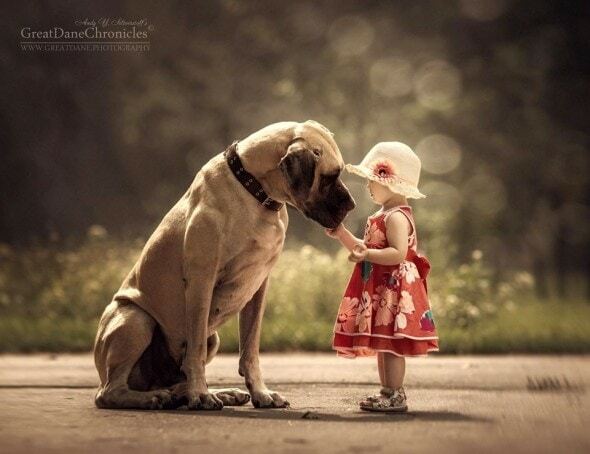 Thank you so much..